¡Hola! Yesterday and today were spent working at La Carpio, a small village near San José that houses 40,000 people, most of which are Nicaraguan refugees and their children. Many of them live along narrow roads in small, crowded homes with tin roofs. 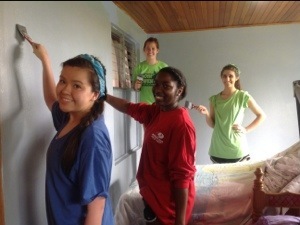 We mostly worked on renovating a community center-type building that will eventually hold some classrooms to help alleviate the current problem of large class sizes of 40+ students. 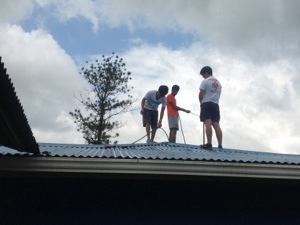 We worked with another group from Florida to pick up trash, sand walls, paint and clean out storage areas. This afternoon we got to spend time with about 40 of the local children, which seemed to be the highlight of the day for everyone. The kids in La Carpio don’t have a park or backyards to run around in, and it was obvious from the smiles on their faces that they enjoyed being able to play games with us today. It was heartwarming to see everyone having a great time even though not everyone spoke the same language. 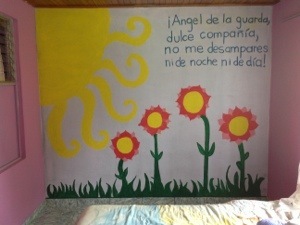 We are all grateful for our chance to help improve the lives of the residents of La Carpio and it’s hard to believe we have to leave already. 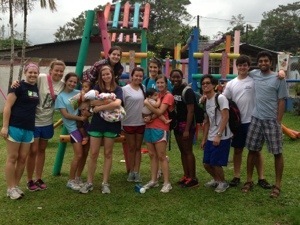 Tomorrow we will be heading to another city, La Fortuna, where we’ll be working at an orphanage. Be on the lookout for an update in the next couple days! ¡Hasta luego! 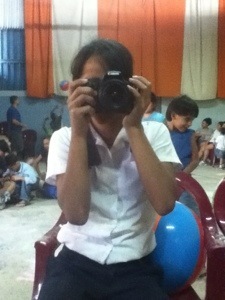 The kids absolutely loved using the camera and seeing pictures of themselves! After a long day of travel we have safely arrived in Costa Rica! Our fearless tour guide, Tano, met us at the airport and we went to a local restaurant for lunch. Many of us ordered casados, a common Costa Rican meal consisting of rice, beans, salad, and some type of meat like chicken, beef, or fish. In the afternoon we stopped at a local market for a little souvenir shopping before making our way to the hotel. We checked into the hotel and ate dinner at a nearby sports bar-type restaurant where the locals were getting very excited about an important soccer game on TV. Afterwards we all got some much-needed rest after a fun but exhausting day. This morning we had a gorgeous drive through the mountains on our way to tour the Irazú Volcano, which is an active volcano that last erupted in the 1960s. Some us ended up short-of-breath and sunburnt due to the high altitude but the beautiful views were definitely worth it! In the afternoon we went to the Catedral de Cartago near San José. Each year in August around 2 million Costa Ricans journey there by foot from their homes. We were originally supposed to begin working at our first site, La Carpio, this afternoon but since it’s Sunday it was closed due to religious observances so we will start there first thing in the morning. We all have enjoyed getting to know each other better over the last couple days and are looking forward to a day full of service tomorrow! 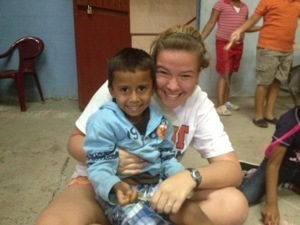 Learn about our Spring Break Site Leaders for Community Development in Costa Rica, Julie and Rohith! Julie: I chose to participate in an international service community because I feel that is important for everyone to experience life and culture in another country. I think it is an integral part of becoming a well-rounded, compassionate, and aware global citizen. Rohith: I chose my trip because in a world that is increasingly impacted by human presence and activity, it is important to take a step back to conserve and protect our home planet. Also, I strongly believe in serving people in need, such as refugees and orphaned children. 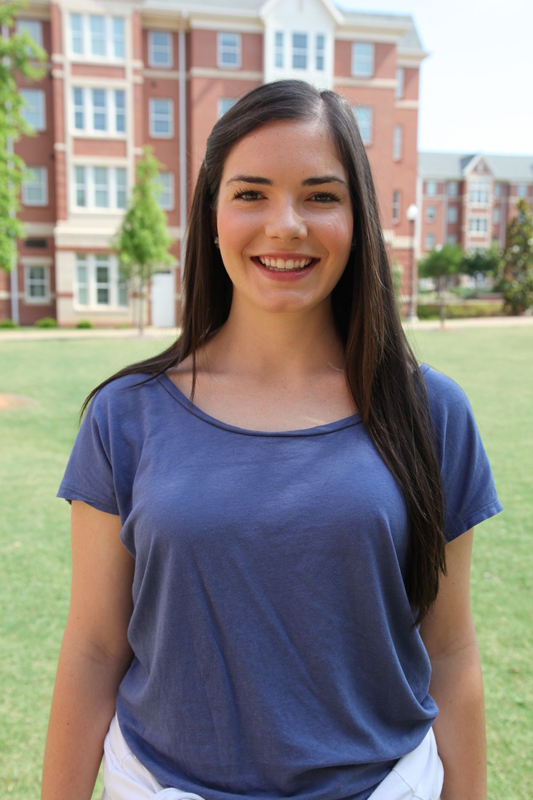 Julie: I am very excited to travel to Costa Rica and try out the Spanish I have been trying to learn all year! When I took the position as an international site leader, I knew I would be traveling to a Spanish-speaking country. I set a personal goal to become more familiar with the Spanish language. 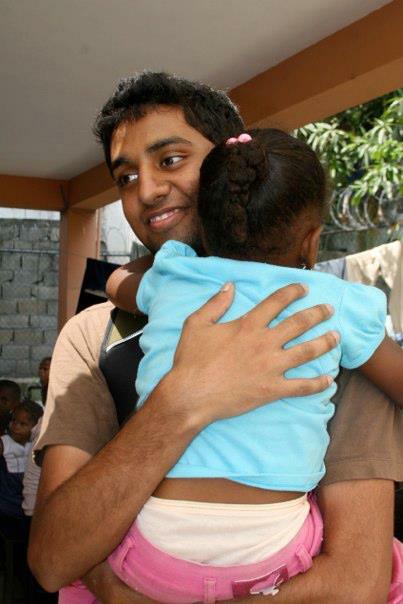 Rohith: I am most looking forward to working with the orphanage in La Fortuna to mentor and aid orphaned children. Orphaned children often do not have the guidance and role models they need and I cannot wait to provide whatever small help I can give! 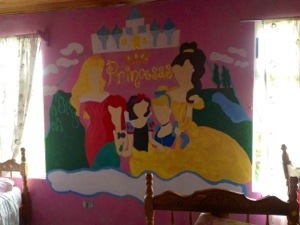 Julie: I wanted to do something constructive with my time off over spring break. I also love traveling. 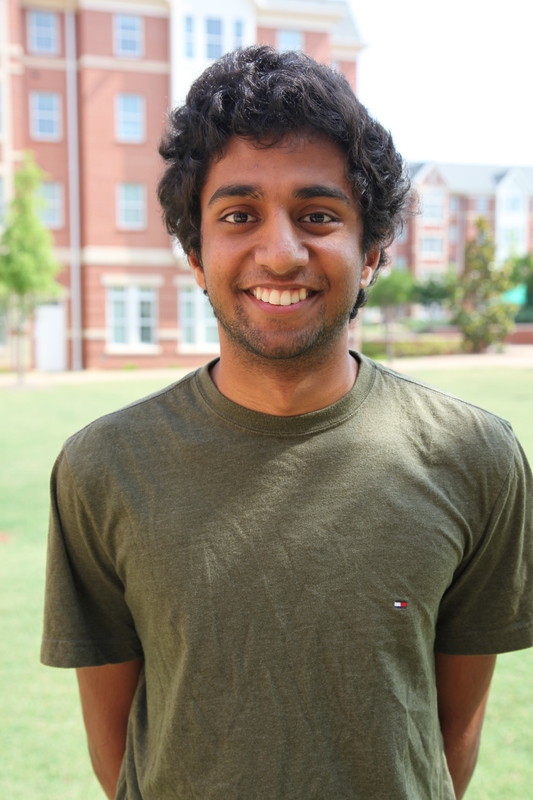 Rohith: I decided to do ASB because I wanted more from my college experience than just traditional educational development. I decided that serving foreign communities outside of Auburn and outside my comfort zone would allow me to grow as a compassionate individual. Julie: If I wrote them all my response would be 20 pages long! However, I think one memory that sticks in my mind the most is the day we spent at the local refugee camp. The people living in this camp had been displaced from their homes due to flooding and had been there for years. Their homes consisted of a room, maybe a 12’x12’, constructed of tin sheets that had been nailed together. Raw sewage was flowing in the gutter next to the paths we walked on. The homes were directly next to each other and narrow alleys crisscrossed the camp. 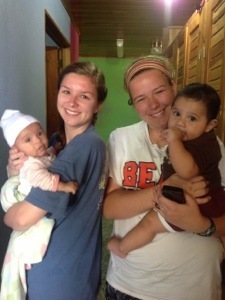 That day we did not physically help the people that lived in this community; we simply toured the camp. However, the couple hours we spent in this camp are the ones that made me think the most. The people that lived in this camp did not have much yet they had a sense of pride and kept their homes clean. You better believe their dirt floor was swept and their children were clean and as well dressed as they could manage. While this situation may seem heartbreaking, they were doing the best they could with what they had been given. It was that tremendous sense of perseverance, that I could literally feel in the air, that made me the most appreciative to simply be in the camp that day. The emotion of that day is something I carry with me daily. 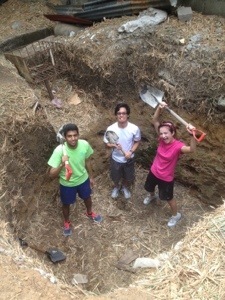 Rohith: During the week that we were in the Dominican Republic, we spent much of our time renovating a community park. By the second day, the locals, unbidden, started coming out with shovels and whatever other tools they had and helping us. It was awesome because the children and youth led the way but the slowly the older folk were also helping with whatever they could. Julie: One think I learned is if it scares you, it might be a good thing to try. Yes, I did just steal that quote from Pinterest but it applies to my point! I was very hesitant about taking a trip to a foreign country with a bunch of strangers. The idea terrified me! 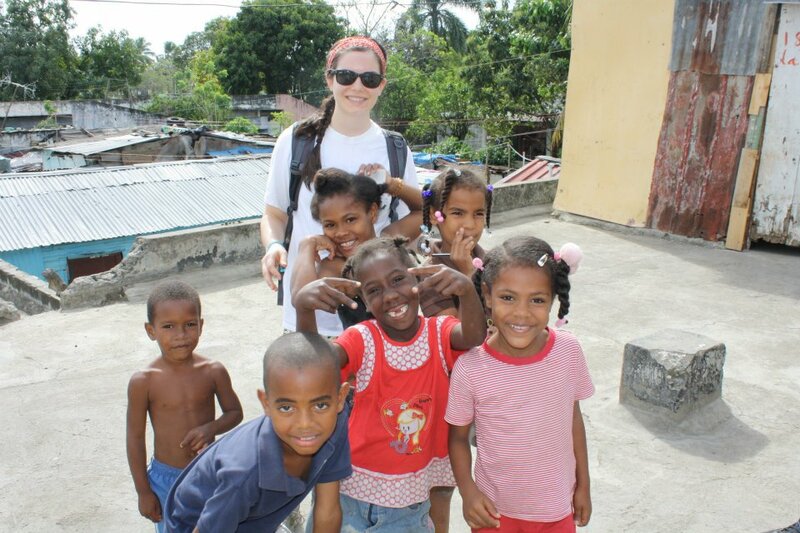 However, taking the dive to travel to the Dominican was the best decision I have made in college thus far. It has taught me that jumping in feet first, eyes wide open, ready for adventure is sometimes the best way to conquer your fears. Rohith: The trip showed me that you do not have to go far from harm to find hardship and suffering. As a result, I have tried to be more active in serving my community in various ways. Julie: ASB has impacted my college career in all the best ways. It provided me an eye opening experience that made a difference not only in me but also the community I worked in over spring break. 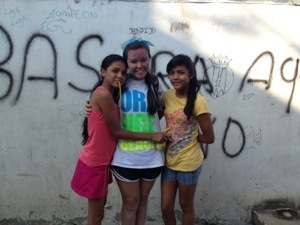 I am so grateful for the opportunity to serve a new community this coming spring break in San Jose! Rohith: I am a Spanish minor and I went to the Dominican Republic, a Spanish-speaking country last year. I found that although I am not a fluent Spanish speaker, I became more confident and comfortable speaking the language. 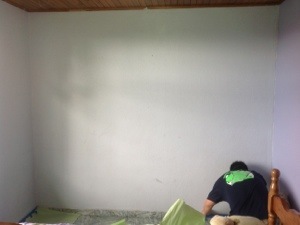 Because of this experience, I have started looking into job opportunities which involve using my Spanish skills. Costa Rica: Day 1, Hola de Costa Rica! We’re safe in Costa Rica! After a slightly bumpy landing Saturday, we made it to San Jose. 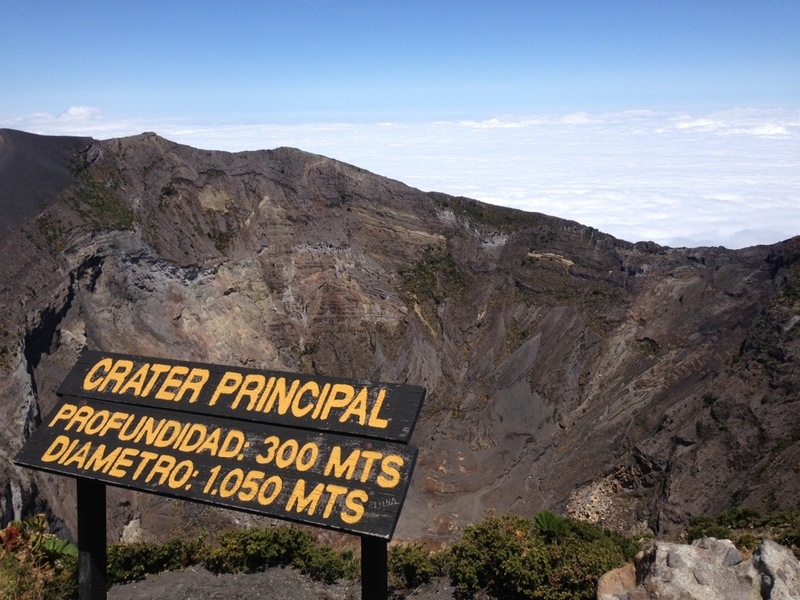 We stayed our first night at the lovely Casa Antiqua and left the next morning for a tour of the Irazu Volcano. 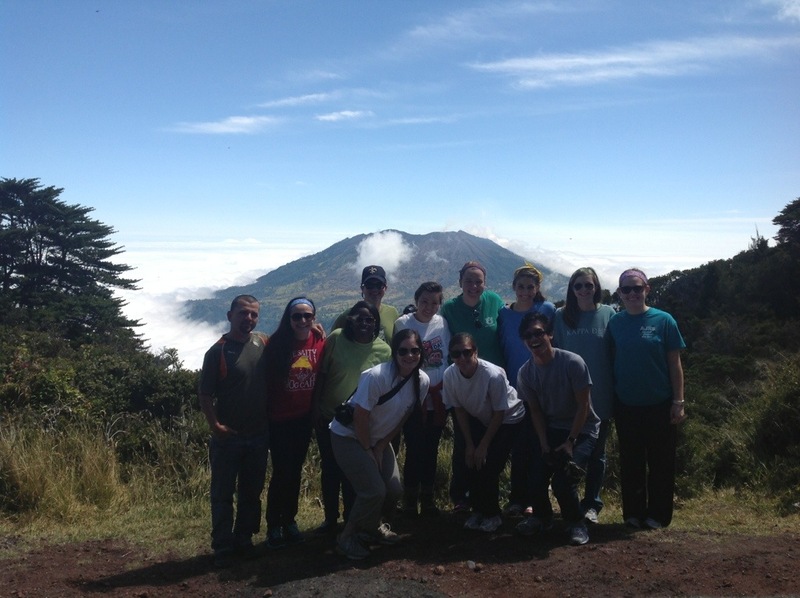 It was cold and the altitude made us short of breath, but about half of our fearless group made the hike to the peak of the volcano. 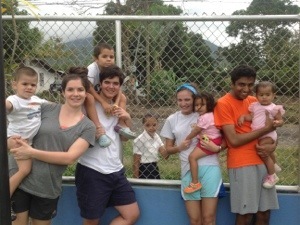 Sunday night we checked into Casa de Franco and met a group of kids with the Wesley Foundation of UGA. 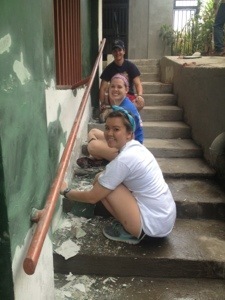 Monday and today we worked with a church in the village of La Carpio. It’s a rough section of San Jose with mostly immigrants from Nicaragua. The village is overcrowded and in need of lots of help. We all learned how to mix concrete, no machine at all! We helped lay the foundation for the activity center for the church. 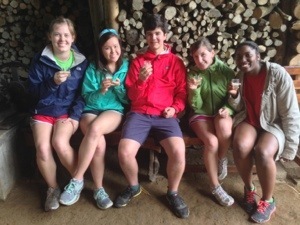 We’re all very sore and feeling out of shape, but looking forward to a day at the ASIS Wildlife Center tomorrow! Until then, hasta luego!